Is a France Without Jews Possible? • The First Crusade was organized by Pope Urban II in France in 1095. • Accused of “Ritual Murder” during Holy Week, Jews were burned at the stake in France in 1187. • The yellow badge of shame to identify Jews, known as “la rouelle” was introduced in France in 1215, later to be taken to new heights by the Nazis as the yellow star. • 12,000 volumes of the Talmud were burned in France in 1242. • Jews were repeatedly expelled from France in 1182, 1306, 1322, 1394 and 1453. • The Dreyfus Affair took place in Paris in 1894, falsely accusing Jewish officer Alfred Dreyfus of treason. • There was a terrorist attack at Jo Goldenberg Jewish Deli in the Paris Jewish district in 1982 (6 deaths). • Ilan Halimi was abducted and murdered in 2006. • A Rabbi and three Jewish students died in the Toulouse Massacres of 2012. • The Paris terrorist attack in January of 2015 claimed 17 lives (four Jewish people form the Kosher market). I could obviously add a lot more to this somber list but these will suffice to make my point. France has a long reputation of anti-Semitism. 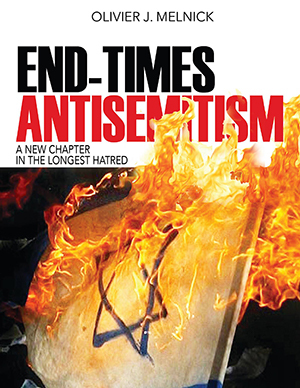 The whole gamut of anti-Semitism is actually represented there from theological anti-Judaism to racial anti-Semitism to the new anti-Semitism, culminating in the current wave that I call End-Times anti-Semitism. 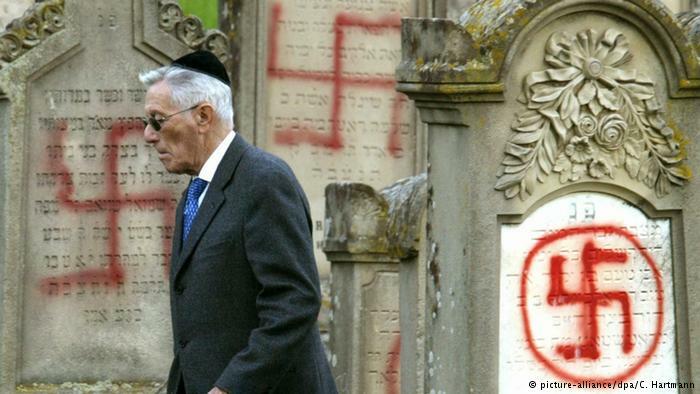 In fact, anti-Semitism runs extremely deep into the French soil. It would be erroneous to put the blame simply on the Arab/Israeli conflict and the global ramifications that it has created. To be sure, Muslim anti-Semitism cannot be ignored, but it never was and never will be the sole root of the French anti-Semitic weed. The latest outrage out of France is an apparent act of discrimination against an Israeli art professor wanting to bring students from Tel Aviv to both the Louvre museum and the Sainte-Chapelle church. When turned down for reservations, he applied again under two fictitious organizations from Abu Dhabi and Italy, only to be immediately accepted. In light of the level of animosity against Jews and Israel in France and the heavy involvement in the BDS campaign (Boycott, Divestment and Sanctions), one is to wonder the real motives behind the refusal. An inquiry is underway. The Louvre has already rebooked the group and is claiming that their computerized booking system is incapable of any discrimination. Sainte-Chapelle is all done by hand and results from the inquiry are still pending. It could turn out that there was no malice in the process. I certainly hope so. France’s prime minister Manuel Valls who delivered a poignant, gut wrenching speech against anti-Semitism and racism only days after the January terrorist attacks, has also pledged over 100 million euros towards the fight against anti-Semitism. But recognizing how bad a weed is, serves no purpose unless you actually pull the chocking weed from the ground. Additionally, if the soil isn’t properly fertilized, the weed can soon return stronger and deeper. France without Jews, according to Mr. Valls isn’t France at all. This might turn out to be a very hard sell for the prime minister. I firmly believe that the vast majority of France, including the largest Muslim community in Europe couldn’t care less if the Jews leave. I also happen to believe that France is making a grave mistake by its nonchalant approach to the oldest hatred. French Jews are leaving in droves (7,200 made aliyah to Israel last year). They are taking with them culture, knowledge and creativity. As a result, this will undoubtedly create a void AND an imbalance in the French economy. Israel expects up to 10,000 more French Jews in 2015. This is all based on not experiencing any more terrorism and murders, something I am certain is unrealistic! The Jewish community ceased feeling at home in France in 2006 after the Ilan Halimi murder. Since then, anti-Semitism has been on the rise. A France without Jews is very possible and is most likely to happen within the next 20 years or less. It really doesn’t matter if “France isn’t France without its Jews” because France has ceased from being France a while ago already ! We would be fools if we thought that France is the only European country losing its Jewish community in the 21st century. It is the first but certainly not the last. On the other hand, it is encouraging to be reminded that God cares about Israel and the Jews–no matter where they are from. In His word, God is crystal clear about His unconditional love for Israel and the Jewish people. Even the Messiah comes from the Jewish people and it should also be clear that He is the only hope for Israel (Isaiah 52-13-53:12).